Less than one month to go! 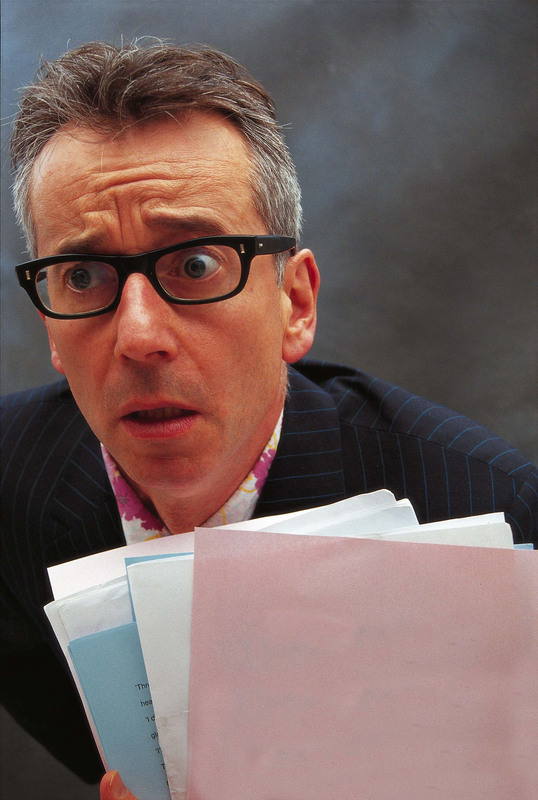 For my birthday 16 years ago I was given a slim volume by a friend titled ‘Can I come down now, Dad?’ by John Hegley. I’d never heard of the author. I was amused and intrigued instantly by the squiggly charming drawing of a slight man with glasses nailed to a cross on the cover. The bounty within the pages met and surpassed my expectations formed by that hastily and wonderfully penned image. Tiny perfect vignettes of absurd human frailty, loss and regret waltzed with comic grace across the pages partnered with a quiet underlying optimism that surged through it like a stick of Luton Rock. The same friend who bought me that book then took me to a gig of John’s at Newcastle University that same year. I was amazed at a performance that waltzed as sure-footed as the words on the page, but with more pathos, more melancholy and more silliness. It was pure joy and I wanted to write poetry instantly. And I wanted it to be funny and silly and mean something. So that’s what I’ve tried to do ever since, and 16 years later I’m proud to have performed on the same stage as John Hegley several times and he is still the undisputed master and superstar of comic poetry. DO. NOT. MISS. HIM. I await to see this young man perform with great anticipation. Watch him perform at TED here. I dare you not to be moved by him. 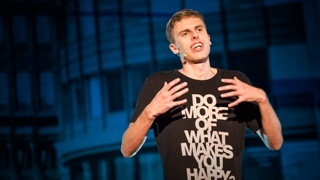 Harry Baker has just graduated from studying Maths and German at the University of Bristol. In this time there he became the youngest ever World Poetry Slam Champion, has had his work shared on the homepage of TED.com and viewed over a million times online, and accidentally become an international rap battler. This year following two successful 5-star runs he is taking a third show up to the Edinburgh Fringe festival based on his debut Anthology ‘The Sunshine Kid’, published by Burning Eye in December. Having performed all around the globe he is excited to take to the Glastonbury stage for the first time, before taking off on a lifetime of adventures now his studies are finished. Whether it’s Gangsta Maths raps, Dinosaur love poems, or bilingual falafel-based tongue twisters, Harry’s playful way with words and interwoven honest narratives have made him a festival favourite across the country and continent in the past, so let’s hope this year is no different. “Simply put – the greatest performer on Earth.” – Scott Mills Show, Radio 1. I could listen to this girl all damn day, but alas I’ve only got two 20 minute slots to do that, and so have you, so make sure you catch her. Check her out here. Charlotte Higgins is a poet, and a postgraduate student at Cambridge University. A previous winner of the Foyle Young Poets of the Year Award (2010) and SLAMbassadors UK (2012), she is the Young Poet in Residence at the Museum of Archeology and Anthropology in Cambridge. Charlotte has performed at Latitude Festival, at the Proms, at the Royal Festival Hall, and at the Nuyorican Poetry Café in New York. She competed in the Hammer and Tongue National Slam Final (2014), and was a finalist in the Roundhouse Poetry Slam (2013), as well as winning the Strawberry Slam in Cambridge (2013). 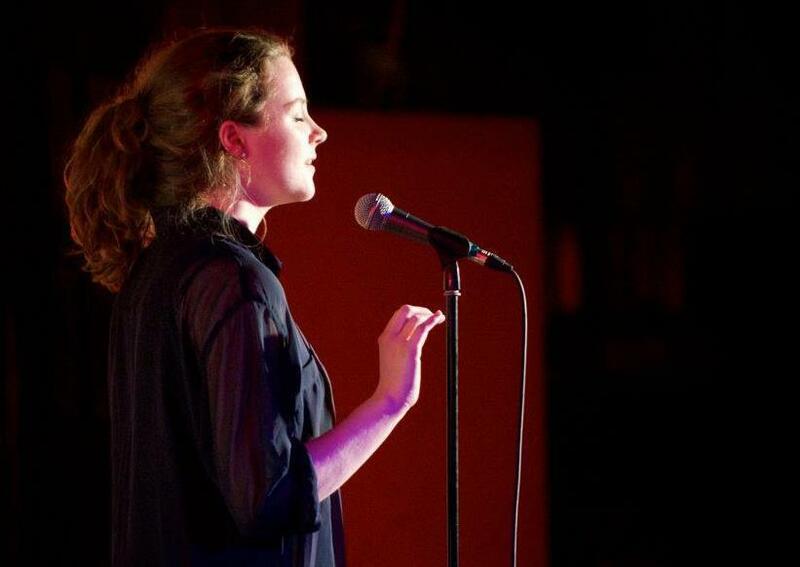 Charlotte has recently performed at TEDxCambridge, where she gave a talk and performance about poetry, and at the Women of the World Festival (2015) in the Southbank Centre. Later in 2015, she’s looking forward to supporting Hollie McNish on the Cambridge leg of her UK tour. Charlotte is an active member of Burn After Reading poetry collective, led by Jacob Sam-La Rose. She runs and hosts Speakeasy, a successful Cambridge poetry night. A beautiful man with true and beautiful words that cut clean and sharp. See here. 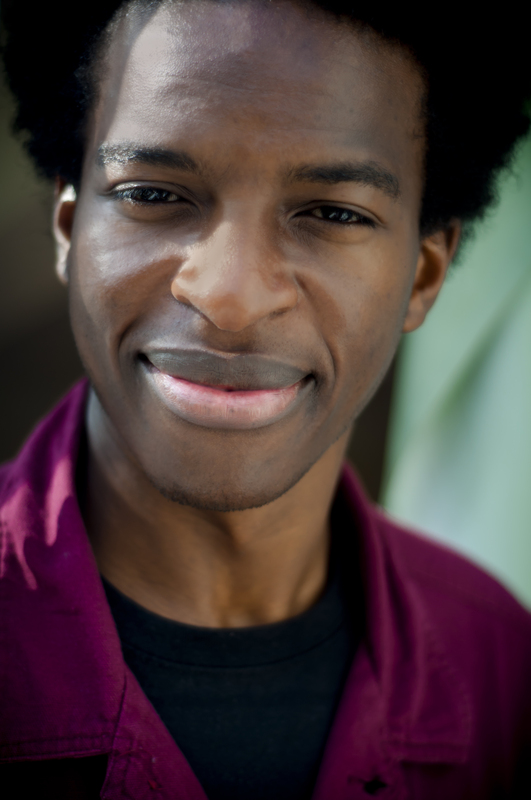 Kayo Chingonyi was born in Zambia in 1987, moving to the UK in 1993. He holds a BA in English Literature from The University of Sheffield and an MA in Creative Writing from Royal Holloway, University of London and works as a writer, events producer, and creative writing tutor. His poems have been published in a range of magazines and anthologies including Poetry Review, Ploughshares, Magma, Wasafiri, The Best British Poetry 2011 and 2013 (Salt Publishing, 2011 and 2013), The Salt Book of Younger Poets (Salt Publishing, 2011), Out Of Bounds (Bloodaxe, 2012), The World Record (Bloodaxe, 2012), and in his first book entitled Some Bright Elegance (Salt Publishing, 2012). Kayo has also been invited to read from his work at venues and events across the UK and internationally in Mexico, South Africa, and Abu Dhabi. In 2012 he represented Zambia at Poetry Parnassus, a festival of world poets staged by The Southbank Centre as part of the London 2012 Festival. He was recently awarded the Geoffrey Dearmer Prize and shortlisted for the inaugural Brunel University African Poetry Prize. 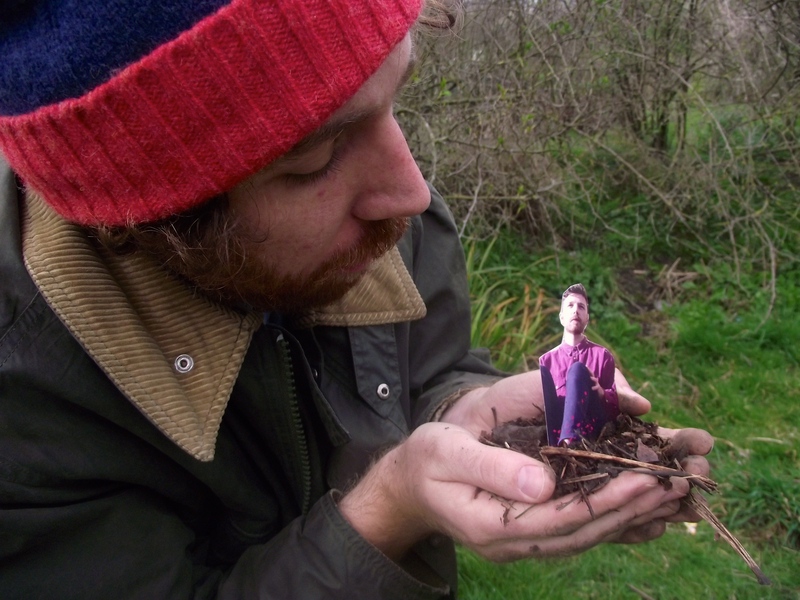 Wil Greenway is a London-based storytelling comedian from Melbourne. He’s a survivor of the Australian festival circuit, a regular at The Bus Driver’s Prayer, an occassional face on Australian TV and a fairly average barista. Since 2010 Wil has been writing and performing critically acclaimed festival shows. He is co-creator of The Lounge Room Confabulators (Winner of The Underbelly Edinburgh Award and The Adelaide Fringe Award), and the lonely idiot behind A Night to Dismember (runners up Best Comedy and Best Comedy Performer at Auckland Fringe) and Vincent Goes Splat (“an absurd and yet utterly human story” – Daniel Kitson). Wil has recently sold out shows in Ediburgh, Melbourne, Oslo and London, and quit his awful coffee job to act in a film in Australia. Currently he’s working on For the Ground that Grew Me, which will premiere at Underbelly for the Edinburgh Fringe this August. This entry was posted in Uncategorized and tagged Charlotte Higgins, festival poetry, Glastonbury Festival, Glastonbury Poetry 2015, Harry Baker, john hegley, Kayo Chingonyi, Poetry and words, Scott Tyrrell, wil greenway. Bookmark the permalink.